The World Wide Fund for Nature (WWF), joining civil society organizations of the DRC and UNESCO, expresses its deep concern about the damaging impact that any oil production may have on the World Heritage Sites of Salonga and Virunga, two outstanding natural landscapes protected in national parks in the Democratic Republic of Congo (DRC). According to the report of the 11th meeting of the Council of Ministers held on June 8, 2018, the Government of DRC confirmed its intention to move forward with actions leading towards partial declassification of Salonga and Virunga National Parks to allow for oil exploration and production. Both parks are UNESCO World Heritage Sites, home to mountain gorillas, bonobos and other rare species. The Government of the DRC has authorized the Minister of Hydrocarbons upon their request to form, together with the Minister of Environment & Sustainable Development, two commissions. The commissions are tasked to prepare the dossiers to declassify those parts of Salonga and Virunga National Parks which are of interest to oil exploration and production. The dossiers shall then be submitted to the Council of Ministers to decide over and implement the declassification. Mr. Fred Kumah, Director of WWF Africa, said: "Oil exploitation in the Salonga and Virunga National Parks would jeopardize the exceptional biodiversity of these sites as well as the livelihoods of the local populations. It would also release huge amounts of carbon dioxide into the atmosphere, which would contribute to exacerbating the harmful effects of climate change so much criticized in the world." “We therefore recommend that the Government of the DRC carefully analyze different options based on credible studies, focusing particularly on the environmental and social benefits that these natural sites provide, and to seriously reflect upon the possible consequences of the proposed options.” he added. WWF is not against the socio-economic development of the DRC. On the contrary, WWF is very active in supporting "green development" efforts in the country, as mandated by authorities of the highest level, in accordance with the commitments made by the DRC. WWF is an advisor and partner of the Congolese Government in several areas, including nature conservation, the forest sector and rural development, said Marc Languy, Director of WWF Central Africa. 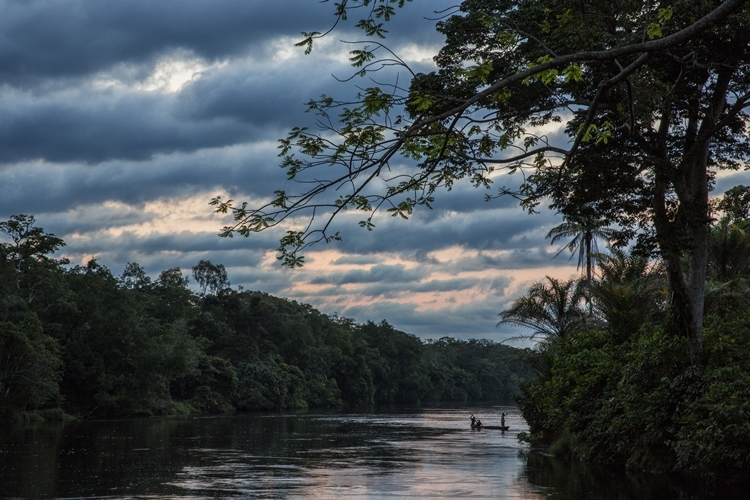 According to that role, WWF urges the Government of the DRC to safeguard these sites of outstanding universal value and pursue a path of sustainable development to build a better future for its citizens, local communities and indigenous people who live around these areas. The National Parks of Salonga and Virunga are home to populations of bonobos and mountain gorillas, two critically endangered species found in the DRC. Since they are currently protected as national parks and as UNESCO World Heritage Sites, they are incompatible with extractive activities which would increase the threats to the exceptional flora and fauna while harming the already precarious livelihoods of the neighboring communities. WWF remains available to support the DRC Government and other stakeholders to continue the process of reflection, research and implementation of actions compatible with sustainable development. These actions are likely to protect these privileged ecosystems while improving the living conditions of the Congolese populations who depend primarily on the country's natural resources.